December 10, 2013--Below are pictures of the finished results. 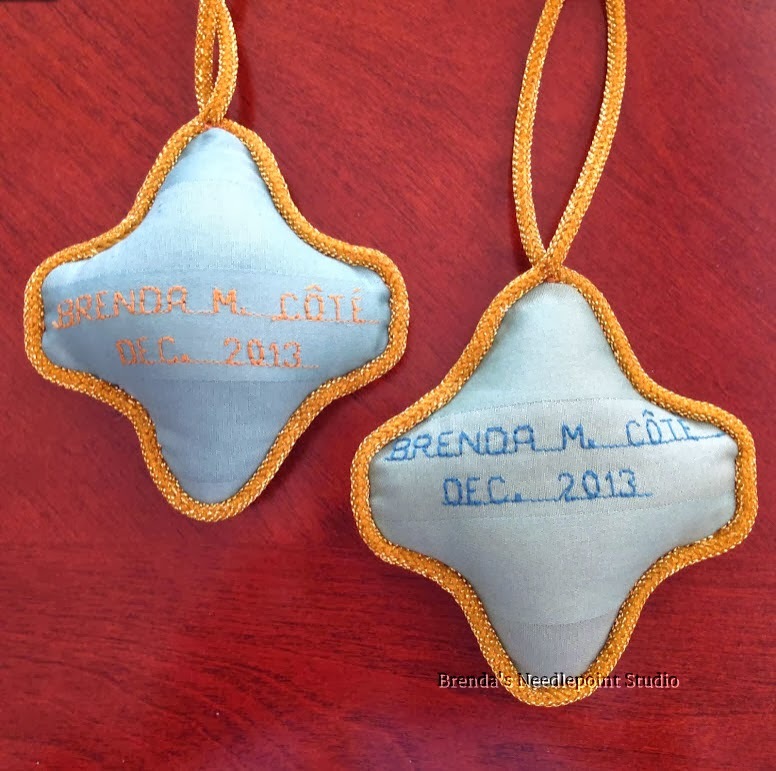 Made two ornaments--one for me to practice finishing techniques and the second for the ANG Delaware's Seashore Chapter Holiday Lunch and Ornament Exchange on December 9th. This was the first time "stuffing" an ornament and I found it much easier than glueing canvas and fabric around poster board. I hand stitched the trim along the edges, but next time will try using my brand new glue gun to attach trim. A fun project all-in-all. 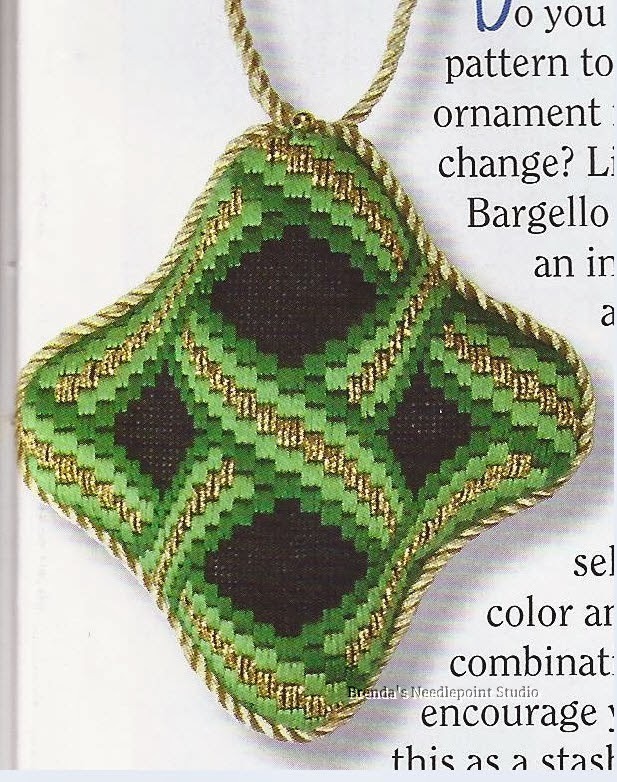 October 1, 2013--Have begun stitching Liz Morrow's Bargello Ribbons Ornament published in Needlepoint Now magazine, September/October, 2013 issue. 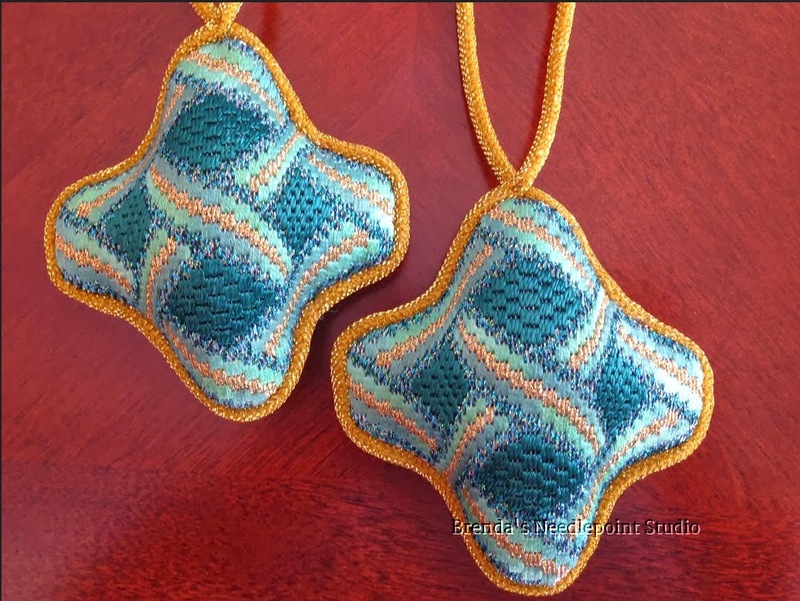 This will be part of Delaware's Seashore Chapter's Holiday Ornament Exchange in December, so pictures of the finished project will not be posted until after the exchange. But I can show the colors I've chosen below. The RG Patina, Renaissance Green, was a table favor at the 2012 ANG Seminar Banquet and it is beautiful in this project. 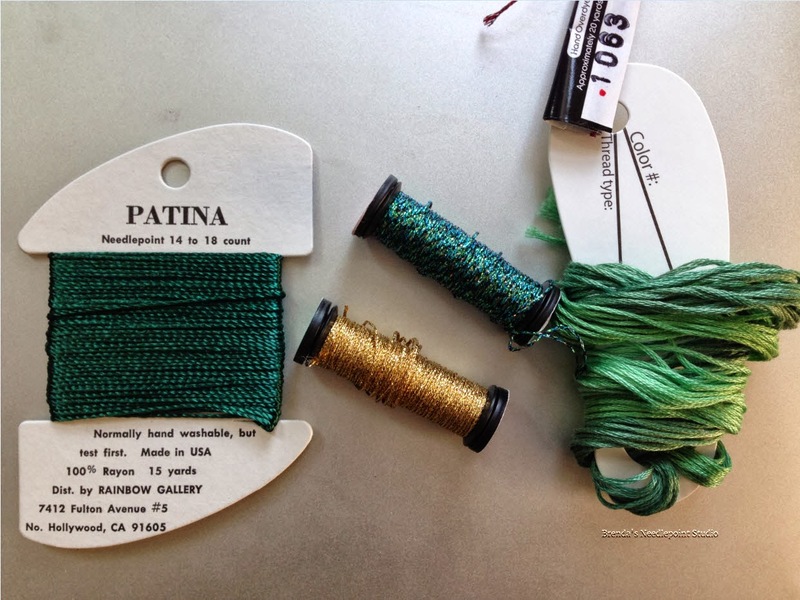 The blue/green Kreinik found in my stash is called Peacock, a perfect match for the green Threadworx Floss. Love the colors. Wow, I wish I were closer to your chapter! Very nice way to celebrate the holiday season! Your ornaments turned out great! Good job on the finishing!